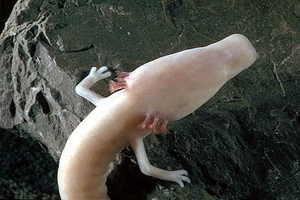 The Olm (also known as Proteus) is an aquatic, blind and snakeish amphibian that can be found in the subterranean waters of caves of the Dinaric karst of southern Europe. 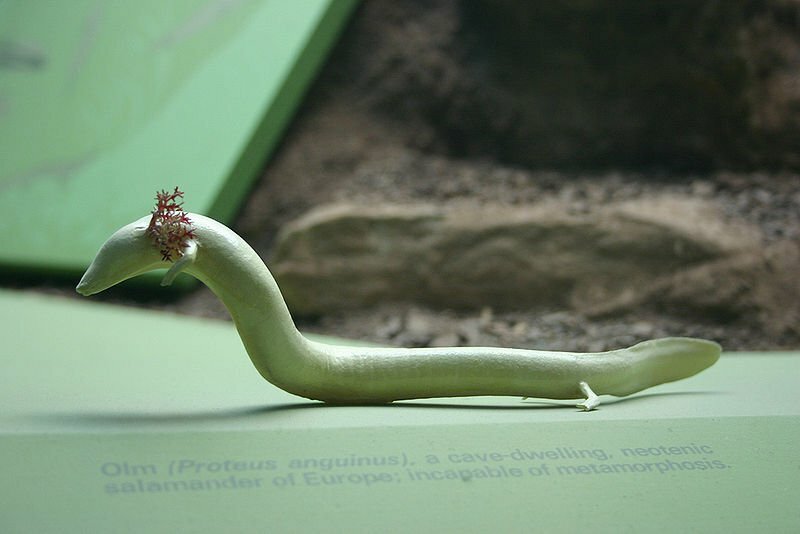 It's the only known species of the Proteus genus, the sole European species belonging to the family Proteidae and also the only European chordate that is exclusively cave-dwelling. The olm lives in the subterranean fresh water biotopes of the Dinaric Karst, from the Isonzo-Soca River in south-eastern Venezia Guilia, Italy through the southern half of Slovenia, southern Croatia, and parts of Bosnia and Herzegovina to the Trebisnjica River in eastern Herzegovina. It has also been introduced in the Parolini Grotto, Vicenza, northern Italy and Tular near Kranj in Slovenia. The animal may also inhabit certain places in Montenegro but this has yet to be proven. The subspecies known as the black olm can be found in Bela Krajina, southeast Slovenia. The species prefers underground water systems in karst formations (geologic formations that shaped by the dissolution of a layer or layers of soluble bedrock), that have calm and well-oxygenated waters with a constant water temperature among 8 and 11 C degrees. These weird looking amphibians mainly inhabit caves sometimes also venturing in abandoned mines. They can be found in varying depths starting from near to the surface levels up to 300 meters underground. In times of excessive rainfall or flooding individuals may also be found in cave entrances. The olm has a snake-like appearance with a length of about 20 to 30 cm (8 to 12 inches), however there are some recorded specimens going up to 40 cm (16 inches). Their trunk is thick, cylindrical and segmented into regularly spaced furrows at the myomere (the blocks of skeletal muscle tissue) borders. Their tails are flattened and short with a thin fin surrounding them. These animals come with small fragile limbs, the front ones having 3 digits while the rear having two. Olms have a pear-shaped head with a small mouth featuring tiny teeth that form a sieve. The nostrils are barely visible and are placed laterally near the snout's end. They are yellowish-white or pink in color, with many individuals having a color that resembles the skin color of white humans. This is why in many languages the olm is referred to as the "human fish". They can produce melanin and will blacken if exposed to light. Olms use their external gills to breath. The gills are red colored and form two branched tufts at the back of their head (see pictures). 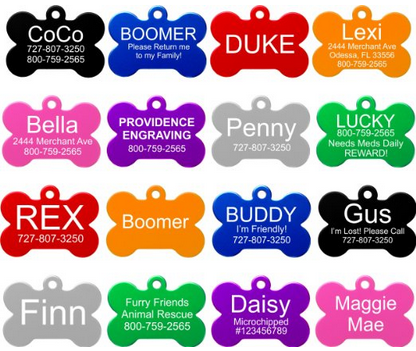 They also have lungs which are rudimentary contributing very little to the respiratory process. Male and female individuals look pretty much the same with the only exception being that sexually matured males have much more swollen cloacae, a brighter skin color, two lines at the side of their tail, and slightly curled fins. Olms (like the axolotl) exhibit neoteny, which means that adults retain many of their larval characteristics, for example external gills. They have undeveloped eyes that lay deep below the dermis of the skin. These eyes are very small and although they do retain some sensitivity to light olms are essentially blind animals relying on other senses to survive. After all, their habitat is characterized by complete darkness, making vision a pretty much useless sense. They swim mainly by performing eel-like twisting motions with their body. Swimming is also slightly assisted by movement of their poorly developed legs. According to a study published in Biology Letters their maximum lifespan is well over the 100 years of age while the average life span is 68.5 years. They are gregarious animals enjoying the company of other individuals thus commonly forming pairs and groups. They don't chew the pray but instead swallow it completely. They have the ability to consume large amounts of food and then store it in the form of lipids and glycogen in their liver. When food becomes scarce they reduce their metabolic rate and use the energy they have stored, being able to handle starvation for prolonged periods of time. A few experiments have shown that the olm can actually survive without food for more than 10 years! Not much is known regarding how these animals reproduce and breed in the wild, since reproduction has only been observed under captivity. Males may start courtship even in the absence of females. They are reported to chase other males from their territory. Usually the produce a pheromone that attracts females and once one appears the male will immediately circle her. First the mail fans her with his tails and then uses its snout to touch her body. In response the female touches the male's cloacae with her snout. After that the male starts moving forward with a twitching motion and next the female follows. Later the male places his spermatophore inside her and the sperm cells are released. The courtship ritual can be repeated many times during the next hours. Olms are oviparous animals with females laying up to 70 eggs. These eggs have a diameter of about 1.2 cm (0.5 inches) and are typically placed between rocks. Mothers stay with the eggs until they hatch. The newly hatched tadpoles have an average length of about 2 cm (0.8 inches). They gain their adult appearance after about 4 months, however it will take them 14 years before they become sexual matured. 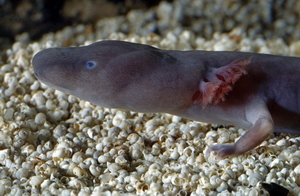 Currently the Olm is listed by the IUCN as vulnerable. If you enjoyed reading about the olm please share the Strange Animals blog using the buttons below! I thought that was Lesser Siren ... can't tell the different much from the picture.